The lively expression and fine feature detailing on the face of this figurine contrast with the somewhat crude rendering of the rest of the body. 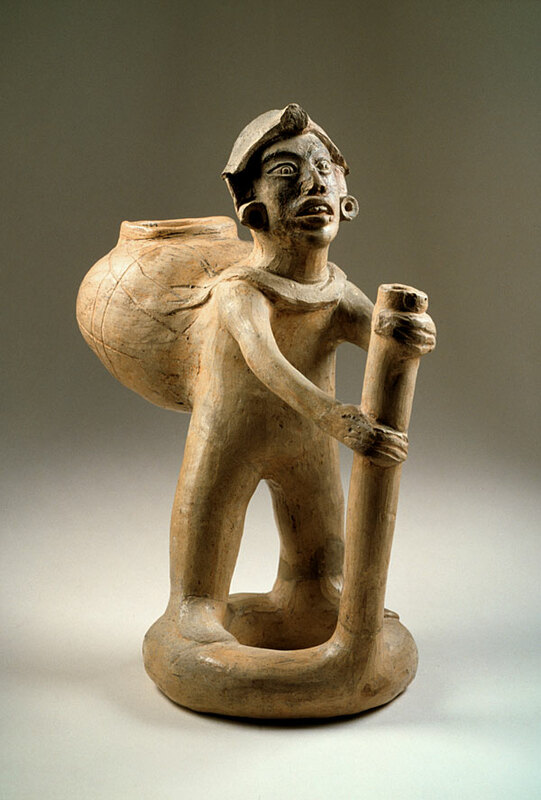 The character depicted here is shown carrying a big jug with the help of a tumpline slung across his chest. He holds onto a hollow staff that doubles as the spout of a doughnut-shaped base, which may in turn have served as a container for small amounts of liquid, perhaps to be used in connection with specific actions, ritual or not.